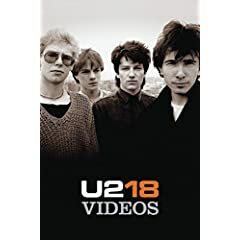 U218, which arrives in stores Nov. 21, is a waste of time for anybody who already has the best-of collections that they released a few years ago. “Windows in the Sky,” which is as jubilant and celebratory as “Beautiful Day,” and which U2-friendly churches are more than likely to integrate in their worship-band performances on Sunday mornings, thanks to some clear-as-day references to Christ’s resurrection. It’s a good song, but not one of the all-time greats. In fact, it sounds a lot like what you might expect if you created software that would produce the Most U2-ish U2 Song Ever. It features their familiar, multi-layered production, a bold guitar-bridge to let the Edge steal the spotlight, and a contagious sing-along chorus that allows Bono to launch into predictable falsetto flourishes. It also includes a couple of typically forced Bono-rhymes. Fun, high-energy stuff, but far from groundbreaking. Yeah, it’s gratuitous, and a waste of money for real fans, but, for the uninitiated, this as about as good of an introduction to the band’s body of work as you could hope for in a single-disc set. It’s obviously not thorough or comprehensive, but it does at least cover all of their most utterly essential songs. The sequencing of the tracks seems to make a lot of sense to me. And the fact that they’re labeling it a collection of SINGLES rather than the absolute BEST U2 songs makes it okay for them toinclude four tracks from ATYCLB while skipping Pop altogether. But don’t forget the 10-song Live from Milan DVD that comes with the deluxe edition – that’s the reason I’ll be buying a copy. FWIW, my top 10 U2. A couple of their 90s songs would make it in my top 20. “City” gets played a lot when my wife is out of town – “and I miss you when you’re not around”. Aight. I’ll give it a shot.